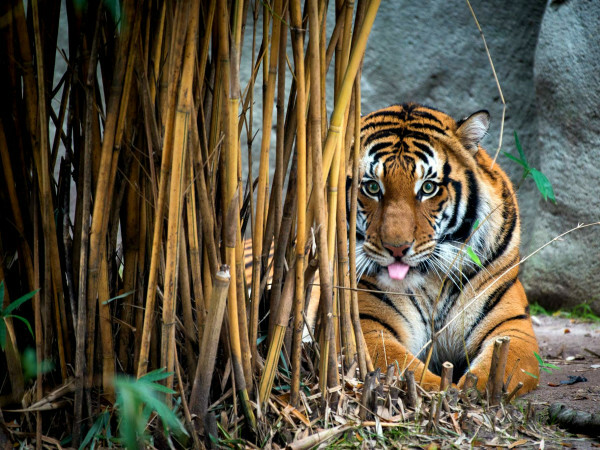 Fall is a great time for outdoorsy getaways, but sometimes nights can be too chilly to sleep in a tent. 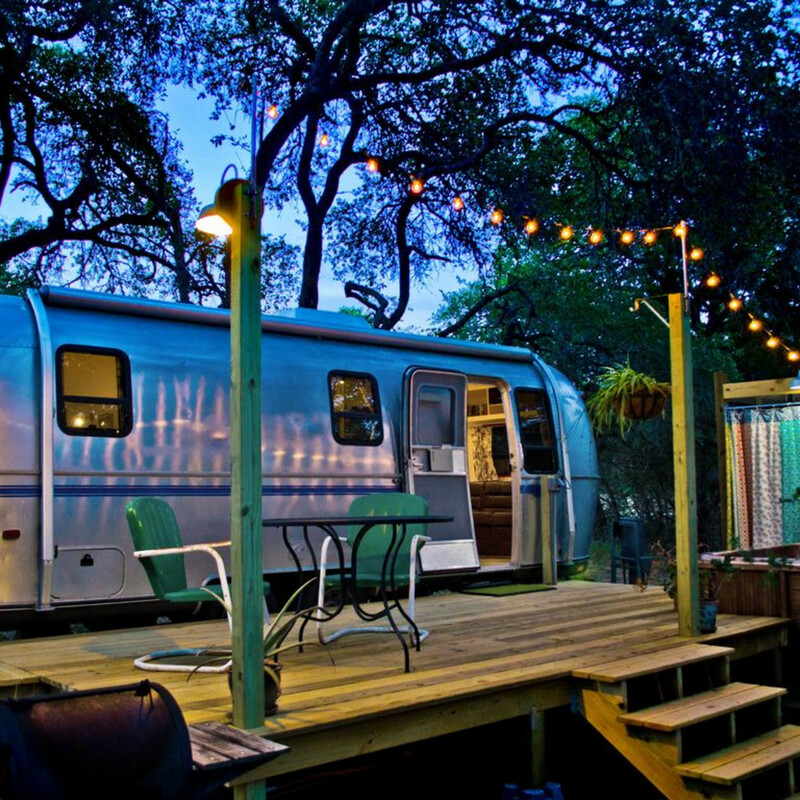 Airstream trailers provide the perfect retro-themed fall or winter vacation, but that doesn't mean you have to bring your own. 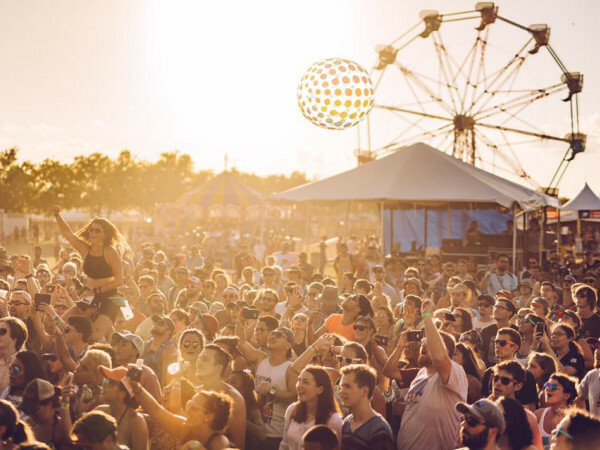 From West Texas to Wimberley, these locales offer unique vacation vibes — and are all just a road trip away. 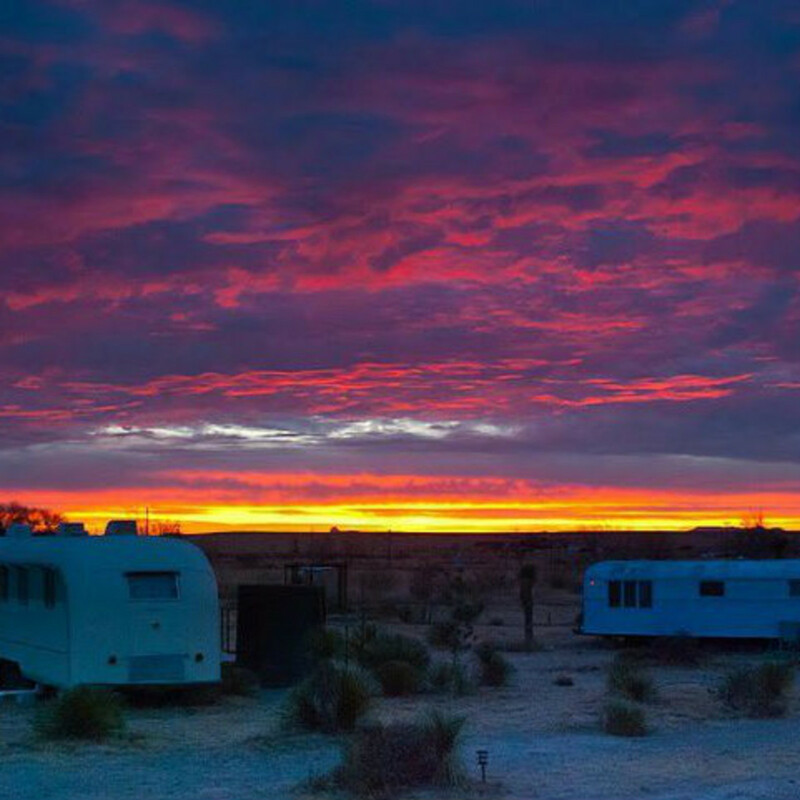 This Lower Colorado River Authority park sports five Airstream campers, each sleeping up to four people, so bring all your friends. 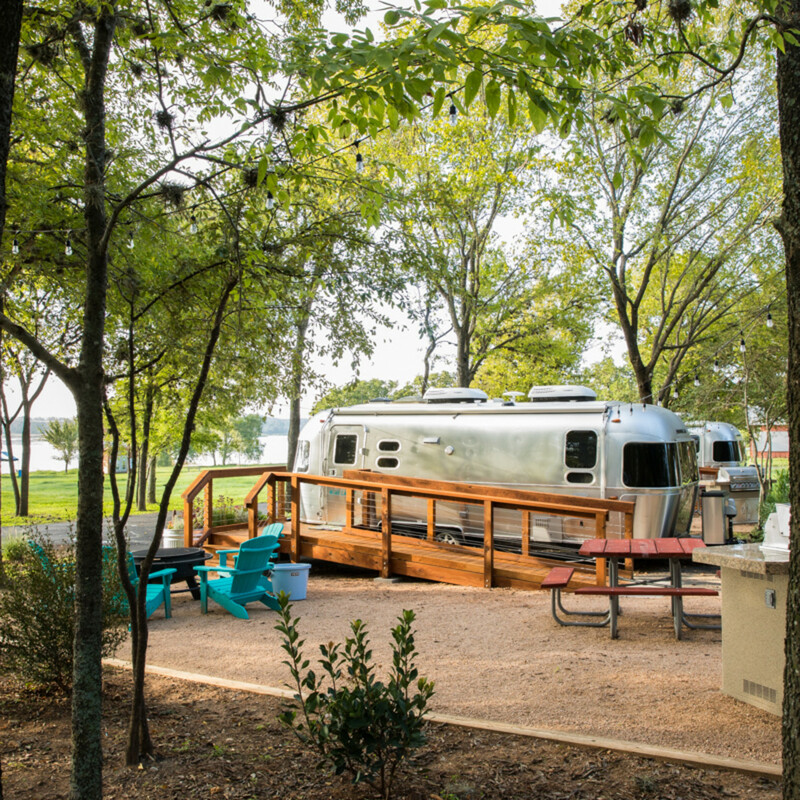 Each trailer has AC/heat; shower; restroom; linens and towels; and kitchens equipped with dinnerware and cookware, along with outdoor grills and firepits. 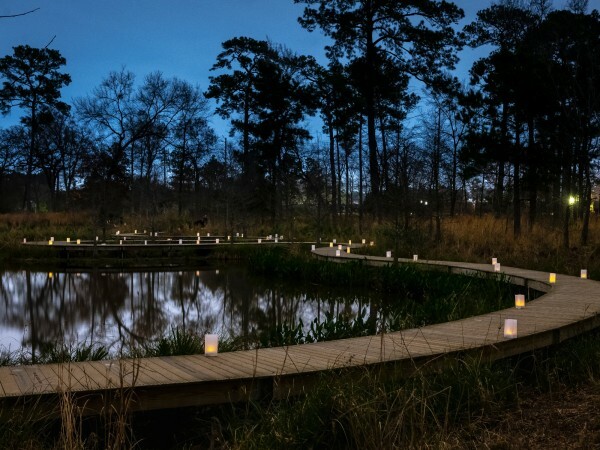 The 182-acre park also offers watercraft rentals (canoe, kayak, stand-up paddleboards, Corcls); a fishing pier; hike-and-bike trails; a camp store; and, to keep in mind for warmer weather, an aquatic playground. 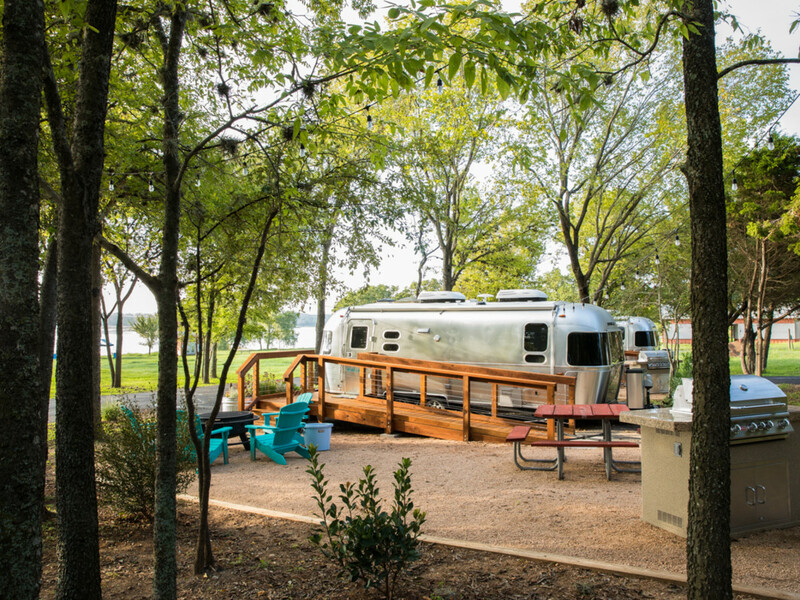 An Airstream parked on the banks of the Llano River near Mason accommodates up to three people with a double bed in the bedroom and sofa bed in the living area. Daily breakfast is included, along with AC/heat, linens, towels, fully equipped kitchen, washer and dryer. The 15-acre property where it sits has cliffs, swimming holes, a bat cave, and access to kayaking and fly fishing. Located where the Colorado River empties into the Gulf of Mexico, this LCRA park has two miles of beach as well as coastal marshes and wetlands great for birdwatching and paddling. Kayaks, stand-up paddleboards, beach chairs, and beach wagons are available for rent. And, coming in December, you guessed it, two Airstreams for really high-class beach bumming. 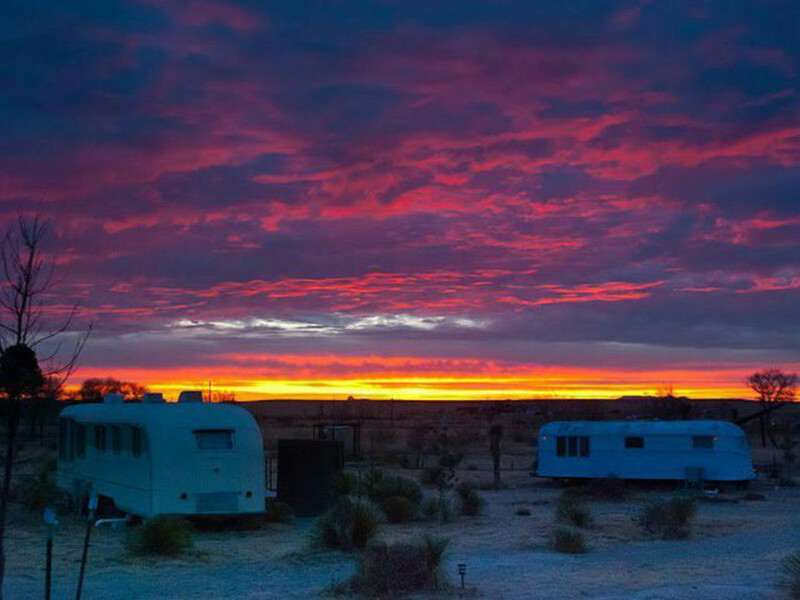 Retro Rents in this famous ghost town has several Airstreams for rent: Josephine, Alice, and Rosie. Each comes with AC/heat, bath with linens, and fully equipped kitchen. Josephine has a full bed, Alice comes with twin beds, and Rosie has both twin beds and a single couch. Outdoor decks or firepits have a view of Big Bend National Park’s Chisos Mountains. The iconic Starlight Theatre Restaurant and Saloon are a short walk away, as is Espresso y Poco Mas, a café with great coffee, breakfast, and lunch. 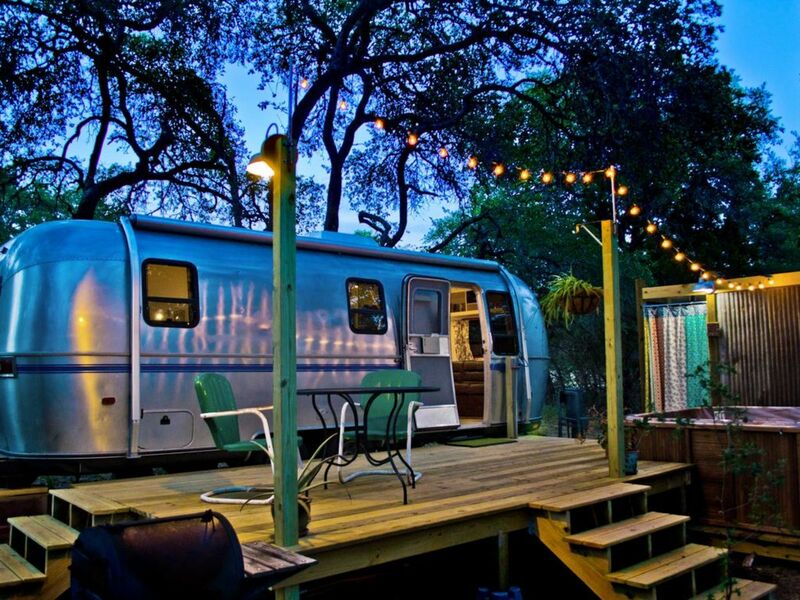 Offered through VRBO, this Airstream rests on 10 acres along Smith Creek in Wimberley and includes a hot tub, firepit, charcoal grill, deck, and shower outdoors. Inside, it has a basic kitchen, small bath with shower, queen bed, Wi-Fi, TV, and a small library of Western movies (did we mention Airstream fans are quirky? ).